I first mentioned my interest in this show in my Fall 2007 preview, and honestly it wasn’t because of the shougi aspects at all. I was more interested in the mystery elements, about the mute girl coming to figure out the secrets behind her parents’ murder and perhaps struggling to learn how to speak again. It turns out that the the shougi parts are at least as important as the mystery parts, though by ending episode 1 with an attempted kidnapping the mysteries are given a nice kickstart. But there are some rather odd elements present alongside that–like the fact that there is a trap who undoubtedly believes it’s easier to compete in the womens’ tournaments rather than in the men’s. The world of shougi is revealed to be a cutthroat one in this show, filled with death threats, kidnappings, and murder it seems. (One wonders if the Yakuza is involved.) As Ray noted, sometimes it seems like an attempt to try to fill what must seem like a dull subject to all but enthusiasts with drama and excitement. Now, I happen to think that in the hands of a good storyteller, any subject can be made interesting; look at what Yakitate Japan did for breadbaking! 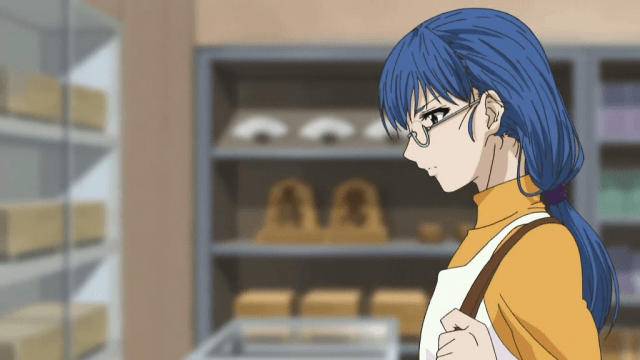 That was pretty much a sports anime but with baking as the sport. 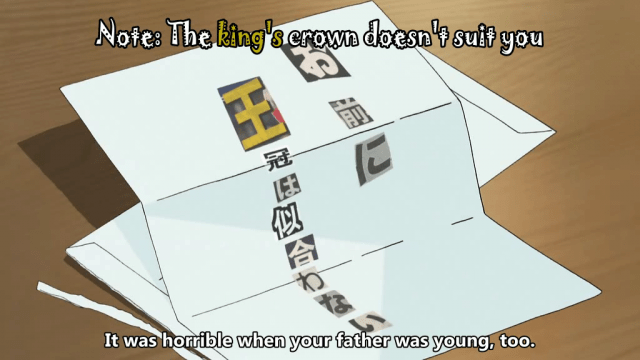 And of course there is, closer to home, Hikaru no Go, and so there’s no reason why a show about shougi has to be dull. Around here in the West they’ve made chess movies before after all: Searching for Bobby Fischer, not to mention the musical Chess. What matters is that there is conflict and human drama regardless of the setting/backdrop. I’d say that the result so far lies somewhere in between inaccessible dullness and sheer excitement. I’m honestly not all that excited by the shougi matches themselves, which generally take up to 1/3 of the running time. It’s tough for those of us who don’t know the rules of the game to appreciate why moves are particularly clever or stunning, for instance, like in the first episode where one move decided the whole match. Shion herself isn’t very well developed yet, either. We are unnecessarily told three times in the first episode that she lost her parents and has been taken into a foster family, and only later do we find out the foster dad is also a shougi pro. 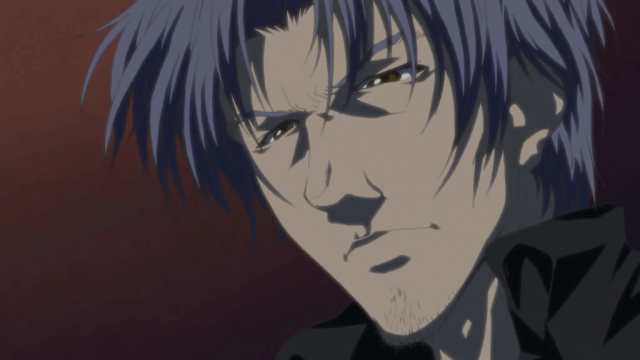 After some of the initial clumsiness it settles basically into two modes: one is about shougi games themselves, and one is a very slow unraveling of why someone would want to kill Shion’s parents. Undoubtedly, it must have something to do with shougi. We know the kidnapping organization is about that, for one. Honestly, I find that rather disappointing, because I had been hoping the story would be about more than that. It requires us to invest so much emotional weight into the game and we haven’t had enough time to invest in the characters playing them just yet. Though some of the other characters are, admittedly, intriguing–the trap for one, and the aristocratic girl who seems to have some things up her sleeve. I’ll try to follow the show the best I can, but already I’m starting to have mixed feelings about it. Perhaps I just need to get over the fact that I still laugh when I imagine how the non-existent episode previews might sound: “Join us next week as we delve into the dark, dangerous, and mysterious world of JAPANESE CHESS!!! !” But I’ll refrain from prejudging too much just yet. 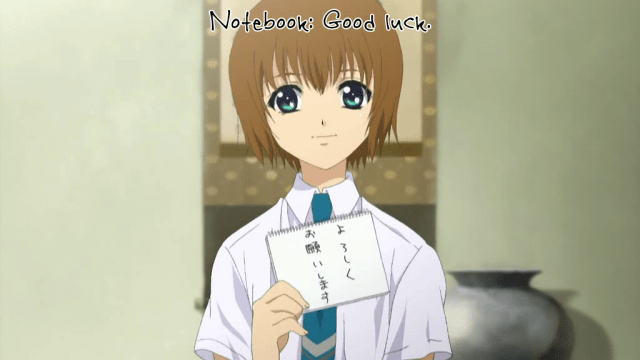 <—continues bowing in apology for track record of jumping to conclusions about Lucky Star, Kimikiss, ef….. I haven’t been that impressed with the plot thus far, but Shion is so freakin’ cute that I’m sticking with it anyway. From your screenshots, it looks like you’re watching the Shoku-dan subs. Having watched both groups’ releases of episode one, I strongly recommend waiting for the Live-eviL version–Shoku-dan’s translations are way off in some places. 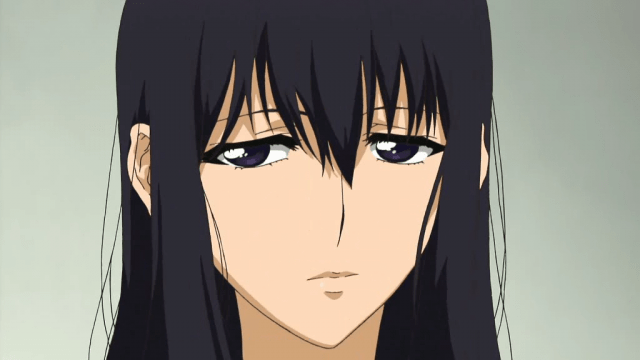 For example, Hisatani is not Shion’s brother, he’s just a fellow student of her father. The trap’s teacher is named Kamizono, but Shoku-dan translates his nameplate as “Shien”. There are several lines where the subtitle bears no resemblance to what was actually said–when Saori looks at Hisatani’s hand, she says goukaku (you pass [the test]), not gokaku (pentagon) as Shoku-dan translated it. The difference in accuracy between the two subs is night and day–well worth waiting two days for IMHO. (To answer the inevitable question of “if your Japanese is so good, why do you need subs?”, it’s because I’m lazy and don’t want to waste time rewinding to hear a line again and occasionally having to consult a dictionary when someone else has already done they heavy lifting for me). Thanks, Andrew, for that very useful pointer. I’ll try to get Live Evil’s fansubs from now on. Good luck. 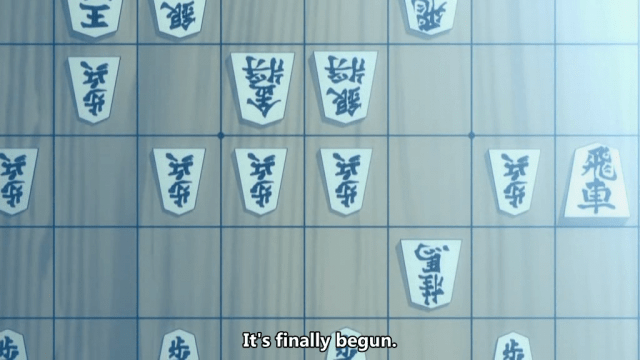 I’m following about 12 series so far with God knows how many more along the way, and as shogi goes, this really doesn’t cut it for me. Did you feel it resembled Higurashi in style much?